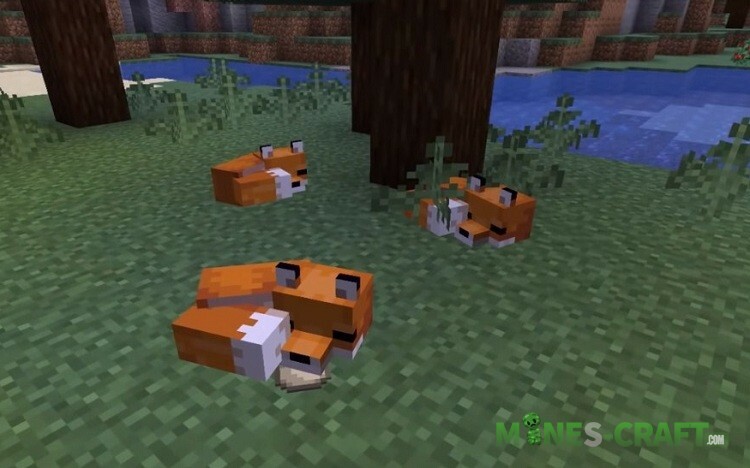 Recently, developers have added foxes to one of the Minecraft 1.14 snapshots (19W07). 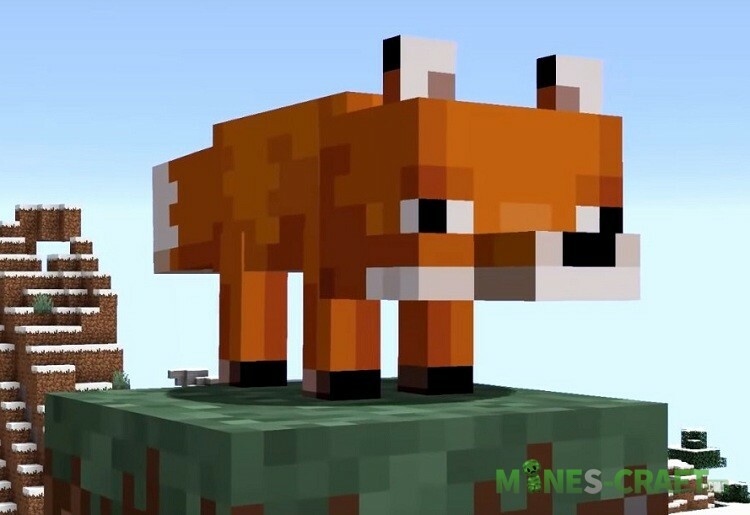 This is a completely new mob similar to wolves, but in terms of functionality it’s much more important for the player, and it is positive. Fox is a night predator; it sleeps during the day, wanders around the world at night. 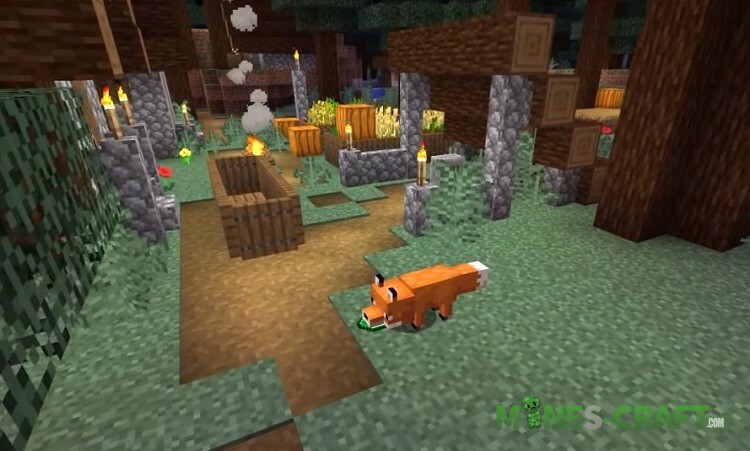 And what is most interesting, the fox hunts for a variety of objects: emeralds, eggs, various meat, wood, dynamite, dirt, etc. The fox has a wolf as its main enemy, it’ll run away from both wolves and from you. 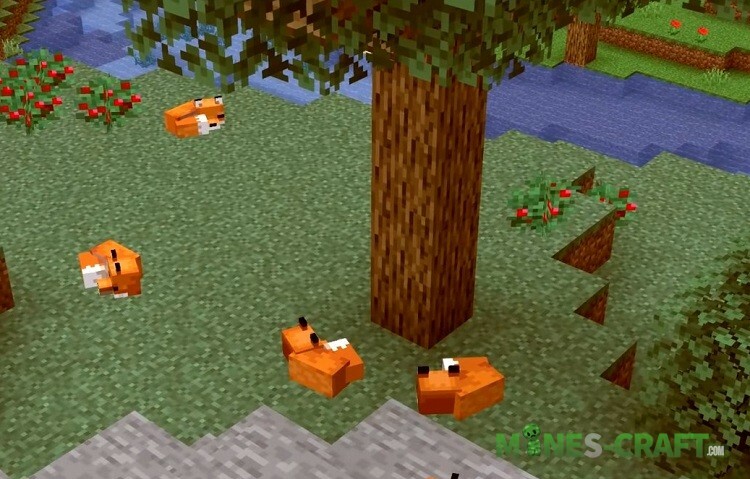 To tame the new mob, it’s enough to drop some object near it, the fox will come up and take it in the mouth. 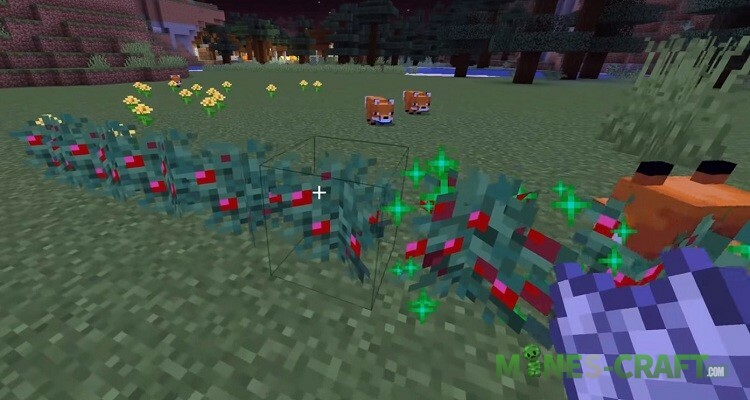 At this point, feed it with berries (this is a new kind of food in Minecraft 1.14 Java). Your fox will trust you after this. Breeding is normal, feed two foxes next to each other and they’ll create a cub that follows the parents. Foxes attack rabbits, cod, salmon, baby turtles and chickens, can jump over fences and walls. 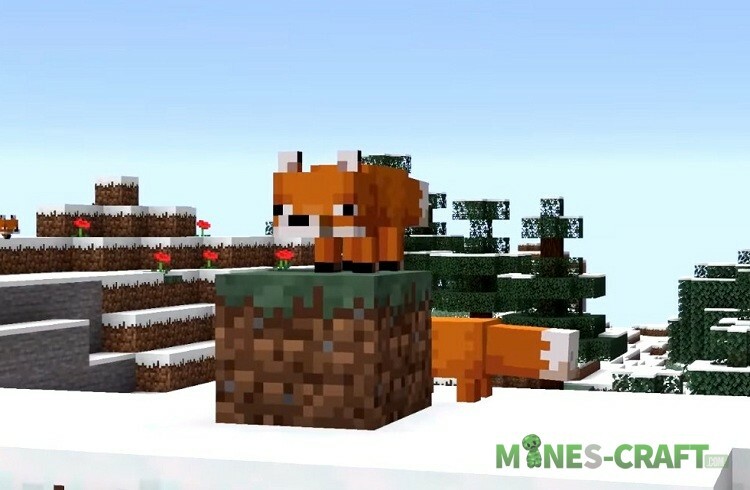 Also, the fox can be white in color if it spawns in the snowy taiga. Their favorite delicacy is berries, so try to protect your crops, otherwise the fox’ll eat them. And of course, the most important thing is when the foxes appear on the screens of your smartphones? 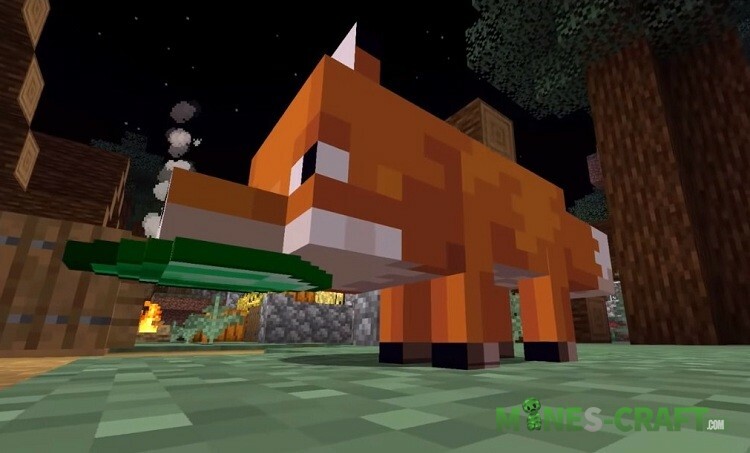 We’re sure that these cute creatures will be added in the very near future in one of the beta versions of Minecraft Bedrock Edition 1.11. 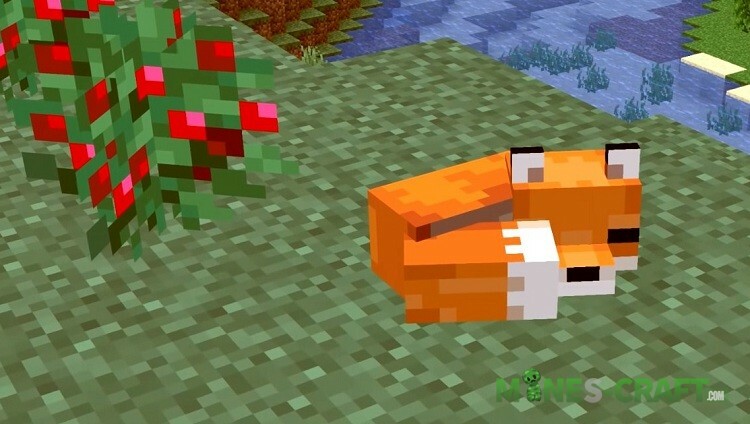 Campfire in Minecraft 1.14 – Why so complicated?